Prose Wizard’s primary test-prep tutor, Dana Crum is a Princeton alum with 18 years of experience teaching English and creative writing and 16 years of experience as a test-prep tutor. Horace Mann, Prep for Prep, Ramapo College of New Jersey, the Art Academy of Cincinnati and Virginia Commonwealth University are some of the institutions where he has taught. Crum tutors middle-school, high-school, college and graduate students as well as working professionals. 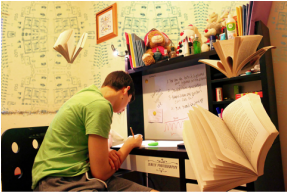 His test-prep purview includes the SAT, AP Exams, ACT, GRE, TOEFL, ISEE, SSAT and HSPA. Our hourly rate ranges from $100 to $150, with discounts available in some cases.